Above All Insulation has a well-equipped and knowledgeable team of insulators who are able to deal with virtually any home insulation project in every part of your home. Whether you need attic insulation, spray foam, empty wall cavity insulation, insulation removal, rooftop snow removal, or any of the many other services we offer, we invite you to request a quote. Our Insulation Manager, Bill Ehlers, or one of our other representatives will listen to your concerns, thoroughly inspect your home, consider all options, and provide a free quote. If you are eligible, we will also be able to calculate the amount of any Rebate from Manitoba Hydro. 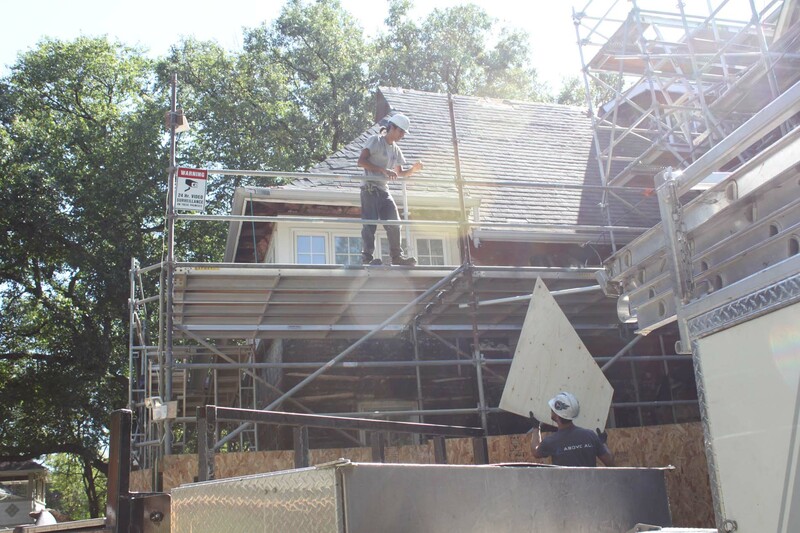 If your insulation project also involves roofing or soffit/fascia/eavestrough work, we can coordinate all related renovation activities seamlessly and without any additional worry on your part. Insulation evacuation truck resting after removing wood shavings from cathedral ceiling slopes. Spray foam truck working hard to install 4″ of spray foam in cathedral ceiling slopes.